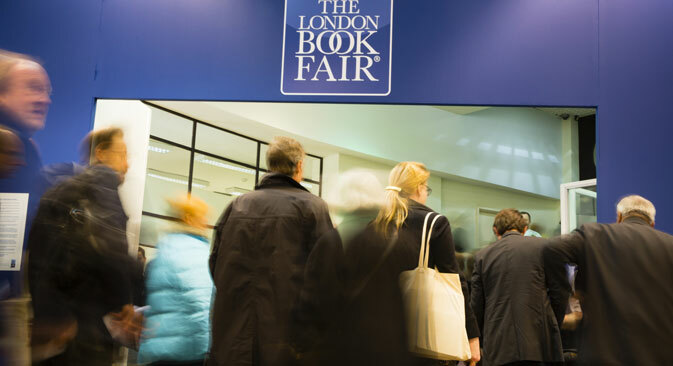 The five Russian writers who are coming to the London Book Fair in April 8-10 each understand Russian history in their own way. They are trying to make sense of the past and find their place in the present. Zakhar Prilepin has a complicated biography, being a soldier for the internal troops who spent two wars in Chechnya, a person educated in philology, an ardent oppositionist, a protest participant, a constant finalist for all possible prizes, sometimes even a winner, and a publicist defending socialist ideas. Prilepin has been trying for many years to understand who he is, who he is with, and who his “literary parents” are. His first text, The Pathologies (2004) - recollections of participation in the Chechen war - is a reinterpretation of Leo Tolstoy’s Caucasian stories. In his most famous novel, Sankya (2006), Prilepin tells the story of a young oppositionist-radical in contemporary Russia. However, thematically and stylistically, the text refers back to Maxim Gorky’s novel Mother, the chief Russian book on revolutionaries. In 2011 Prilepin published a biography of Leonid Leonov, a soviet writer who started out in the 1920s as a brilliant stylist but went down in history more as an opportunist and literary functionary. Finally, Prilepin’s latest novel, Resident, released in March 2014, is dedicated to the Silver Age, the last surge of Russian literature, which occurred in the early 20th century. Prilepin’s characters are representatives of the Silver Age who survive the revolution and struggle to make it through life in a correctional camp in north Russia. Clearly, his range of inquiry is large, covering nearly the entire spectrum of Russian literature. Praise has come to Evgeniy Vodolazkin with his second novel, Lavr (2013). In it Vodolazkin portrays Russia’s late medieval period. It is a very interesting experiment – Russian as a language has changed quite a lot over the last 400 years and in order to write historical texts it is necessary to reinvent the language again so that it does not seem too caricatured or too modern. However, for Vodolazkin history is just a vehicle for talking about our own time. Alexander Terekhov lives almost as a recluse, rarely appearing in Moscow and preferring to communicate with the world through his texts. He addresses history delicately: In Stone Bridge (2009), our contemporary investigates a murder that occurred in 1993, but the discussion about that time is a means for conveying a skeptical approach to ours. Terekhov’s next novel, Germans (2012), which won the “National Bestseller” prize, describes the world of a Moscow city official, an ideally functioning system of petty and large-scale corruption, undercover intrigues, and a system of receiving the necessary number of votes in elections. It is practically documental as the author had work experience in a municipality. The main character is a German like the thousands and thousands of Germans who served as bureaucrats and officers during the time of the Russian Empire and the author invites the reader to compare then and now through his example. German Sadulaev’s search for historical identity is connected with the search for national identity. In the books, I - Chechen and Shali Raid, he attempts to describe how he feels as a person with two identities, Russian and Chechen. At the same moment in time when “nation” is becoming a relative concept throughout the world, in Russia, history takes its course and “the national” is still important. Sadulaev is “two writers in one.” One writes semi-documental prose and the other works on the edge of adventure novel writing and “magical realism,” such as in the novel The Maya Pill. Pavel Basinsky wrote fiction in the 1990s and early 2000s and later turned to the genre of biography. His book Leo Tolstoy: Flight from Paradise (2010) brought him serious fame. Basinsky tells the story of Tolstoy’s final days. In 2013 his book The Holy Against Leo was released. In it he describes the enmity between Tolstoy and John of Kronstadt, the important Russian preacher and spiritual writer who was later canonized. This period is more attractive to Basinsky than our time: who are we in comparison with the titans and what are our passions and problems compared to the problems of their time. History can also be an escape from modernity. An eclectic program featured all aspects of literature from children’s stories to political memoirs.